KSMA-AM is committed to protecting your privacy. Below you will find information about our commitment to ensuring the privacy of your personally identifiable information. Please read it carefully. If you have any questions, please send us an email at digitalcontent@americangeneralmedia.com or call during business hours at 1-805-922-1041. When you visit the KSMA-AM Web Site you may voluntarily supply certain personally identifiable information in connection with a contest or sweepstakes registration, subscription registration for email newsletters, requests for membership information, e-commerce transactions, contributions, comments and suggestions, and certain content submissions and community postings (i.e. forums or bulletin boards). Respect for the use of this information is one of our primary responsibilities. 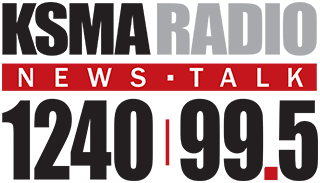 KSMA-AM does not rent or sell its member list. By station policy and by federal law KSMA-AM does not trade or rent its list with any partisan group, political party, or party committee even if it is non-profit. KSMA-AM uses a third party for the housing and processing of the data it exchanges.